David was born in Cincinnati, the son of Robert and Nettie Justice. Justice went to catholic schools; St. Joseph and St. Clement, respectively. He excelled both athletically and in the classroom, skipping the seventh and eighth grades. In high school, Justice was more known for his basketball abilities, becoming the all-time leading scorer in school history, averaging 26.5 points per game in his senior year. He graduated from Covington Latin School in Covington, Kentucky at age 16 in 1982. He then attended Thomas More College on a basketball scholarship, in Crestview Hills, Kentucky majoring in Criminal Justice, and minoring in Psychology. He is a member of the Omega Psi Phi fraternity. Justice made his major league debut in May 1989, playing for the last-place Atlanta Braves. The then 23-year-old right fielder earned the starting job after Braves fan favorite Dale Murphy was traded to the Philadelphia Phillies. Justice promptly went on an offensive tear during the second half of the 1990 season, finishing with 28 home runs, which helped him claim the National League's Rookie of the Year Award. In 1991, the upstart Braves surged to the top of their division and Justice was leading the National League in runs batted in when he was sidelined by a nagging back injury in June. He finished with 87 runs batted in despite the injury and played in his first World Series. After seeing his production slide slightly in 1992, Justice enjoyed a solid 1993 season. He clubbed 40 home runs and 120 RBIs with 78 walks, finishing third in MVP voting behind Barry Bonds and Lenny Dykstra. Justice was batting .313 with a .427 on-base percentage and .531 slugging average when the strike ended play in 1994. When baseball returned in 1995, Justice helped his Braves to the World Series against the Cleveland Indians. He drew attention (and boos) when he criticized Atlanta fans for the level of support they were providing the team. Justice ended up a hero, however, when his crucial home run in Game 6 provided the only run in a 1–0 game that clinched the championship. "I love the Braves, so when [Braves president] John Schuerholz looked me in my face and told me 'I'd bet my house and my family that you won't be traded' that's good enough confidence for me coming from a General Manager, and then out of nowhere, one week later I'm gone." Justice was later traded along with outfielder Marquis Grissom to the Cleveland Indians for outfielder Kenny Lofton and relief pitcher Alan Embree. Justice proved right away that he had many good years left. He hit .329 with a .418 OBP and .596 slugging average in 1997, with 33 home runs, while making another World Series appearance. He posted solid numbers in 1998 and 1999 with the Cleveland Indians before his big year in 2000. That season, he hit a combined .286 with a .377 OBP and .584 slugging average, and slugged 41 home runs with 118 RBIs. On June 28, 2000, Yankees GM Brian Cashman finalized a trade with Indians GM John Hart, sending Jake Westbrook, Zach Day and Ricky Ledée to Cleveland for Justice. The Yankees, who were unable to lure Sammy Sosa or Juan Gonzalez from their respective teams, looked to Justice as a legitimate longball threat. In return, Justice caught fire down the stretch and won the 2000 AL Championship Series MVP Award en route to his second world championship. As a result of persistent groin injury, Justice saw his production slide considerably in 2001, and he was traded to the New York Mets on December 7, 2001 for 3B Robin Ventura. Mets GM Steve Phillips then sent him to the Oakland Athletics on December 14 for LHP Mark Guthrie and RHP Tyler Yates. He played a final season on an Oakland team which reached the playoffs in 2002 and was named the American League Player of the Week for the first week of the season. His addition to Oakland was referred to as an 'experiment' by A's assistant GM Paul DePodesta. The experiment was to evaluate whether hitters retained their ability to get on base as they got older (kept their batter's eye). His .376 OBP and BB/K ratio of greater than 1:1 seemed to prove that correct. Justice finished his career as a .279 hitter, with a .378 OBP and .500 slugging percentage, 305 home runs, 903 walks and 1017 RBI in 1610 games. From 1991 to his last season in 2002, Justice's teams made the postseason every year (with the exception of the strike-shortened 1994 season). Of those times, he made the World Series six times, winning twice. He is in the top ten in a number of career postseason categories, such as at-bats, games played, hits, and home runs. On May 9, 1994, David Justice was listed in People Magazine's "50 Most Beautiful People" issue (Vol. 41 No. 17). The article goes on to state: "'I check my face to make sure there's nothing sticking on it,' he says. 'But I don't make sure every hair's in place.' He needn't worry. He gets the most fan mail on the team and is mobbed when he makes personal appearances on behalf of charities." In March 2007, it was announced that David Justice would be inducted into the Atlanta Braves Hall of Fame. 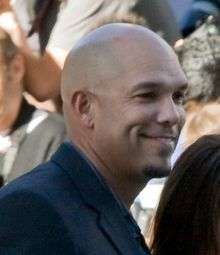 He was the first member of any of the Braves' fourteen consecutive division title teams (1991–2005, excluding the strike-shortened season in 1994) to be inducted in the Braves Hall of Fame. The induction took place on August 17, 2007. Numerous ex-Braves players and coaches were in attendance and tribute videos from Braves legend Hank Aaron and former owner Ted Turner were shown. Prior to that evening's game Justice was presented with a portrait by sports artist Bart Forbes during an on-field ceremony. Justice was eligible for the Major League Baseball Hall of Fame in 2008, however he received only one vote, preventing him from being named on future ballots. The timing of the vote may have adversely affected his candidacy, as it was held shortly after the release of the Mitchell Report. In an interview for the Mitchell Report, released December 13, 2007, Justice denied using performance-enhancing substances, but was willing to report the names of individuals he suspected, though he claimed to have no direct knowledge of any other player's steroid use. He also claims to have never been warned of the side effects of steroids or explicitly told steroids were a banned substance. The Mitchell Report states that in a later interview, former New York Mets clubhouse attendant Kirk Radomski claimed to have sold Justice human growth hormone when Justice was with the Yankees after the 2000 World Series. Justice has called the allegation "a bald-faced lie" and says that he has never met Radomski. Justice has claimed that his only involvement with performance-enhancing drugs was a discussion about HGH in 2000 with Brian McNamee, then the New York Yankees' strength coach. Justice, who had shoulder problems, thought that HGH might aid in his recovery. Justice stated that after the discussion, he went to his locker and found a bag containing HGH and several injection needles; Justice claimed that he was unwilling to inject himself and never used any of it. Justice further stated in the interviews that all claims in the Mitchell Report concerning his alleged purchase and use of any performance drugs were false and encouraged all players whose names appear in the report, especially Roger Clemens, to publicly deny any claims made by the Mitchell Report if they are untrue. After his playing career, Justice served as a commentator for ESPN baseball telecasts for two years. He later joined the YES Network of the New York Yankees as a game and studio analyst, and also hosted the network's youth-oriented program Yankees on Deck. Prior to the 2008 season, the YES Network announced that Justice would not appear on air during that season, but would contribute articles to the network's website. Justice stated that this change was not in response to his inclusion in the Mitchell report, but was due to the destruction of his California home by a wildfire and the recent passing of his mother. Justice never returned to the network. Justice has also appeared on a 1992 episode of The Young and the Restless. He was played by Stephen Bishop in Moneyball, the film adaptation of the best-selling Michael Lewis book Moneyball: The Art of Winning an Unfair Game about the Oakland Athletics baseball team and its general manager, Billy Beane. Justice graduated from Covington Latin School in 1982. On December 31, 1992 Justice married film actress Halle Berry. The couple resided in Sandy Springs, Georgia. They separated on February 22, 1996 and divorced on June 24, 1997. The marriage ended acrimoniously, with Berry seeking a restraining order against Justice. His first son David, Jr. (b. 27 December 1999) is with ex-girlfriend, Nicole Foster. He married Rebecca Villalobos on 8 February 2001. Villalobos is CEO of Exotic Spices Calendars. They have two children together: son Dionisio (born June 7, 2002) and daughter Raquel (born 2004). ↑ Olney, Buster (October 29, 1995). "Justice asks Braves fans to prove comments wrong; Outfielder says support isn't what it was in '91". The Baltimore Sun. Retrieved 3 November 2012. ↑ "The Beane Count – Analyzing Billy Beane's trades". ↑ "Baseball Reference All-time and Single-Season Postseason Batting Leaders". Retrieved 1 August 2011. ↑ "Beautiful Through the Years". People (magazine). May 12, 1997. ↑ "David Justice". People (magazine). May 9, 1994.